First let’s look at the Catechism of The Catholic Church. This post is about the third Mark of The Church; catholic. CCC paragraphs 830-835 speak about the catholicity of the Church. One of the things that slip by most people is the fact that the word “catholic” in the creed is using a lower case C. This is because when we say that we believe the church is catholic, we aren’t pledging allegiance to our denomination. After all, when the creed was written at the end of the 4th century, there was only one church so there would’ve been no reason to include a pledge of allegiance to a particular church. The word “catholic,” means universal. This universality is what we affirm in the Nicene Creed, it is saying that the Church is for all peoples and in all places. So “catholic” with a small c, is an adjective to describe the church and not a name. When I was a child in parochial school, we’d go to mass and I’d recite the Nicene Creed with all the rest of the kids, but I’d omit the word “catholic” thinking it some kind of Papist indoctrination. I was a good little Presbyterian and I wouldn’t be tricked into pledging allegiance to the Pope that easily. Oh how wrong I was, not only was I wrong about the meaning of that particular part of the creed, but also that I would in fact pledge allegiance to the Catholic Church at an Easter vigil in 2016. The one Church founded by Christ has been known as “The Catholic Church” at least as far back as AD107 when it was called such by St Ignatius of Antioch in his letter to the Smyrneans, but the title was mentioned in passing, as if his reader would already be familiar with it so it’s safe to assume it goes back even further. St Irenaeus also called the church Catholic, in his work Against Heresy. In both these instances, catholic was used to describe the church and not to name the church. Remember that up until the great schism of east and west in 1054, there was only “The Church” and heretics. The concept of denominations was still 1000 years away, and it was still 700 years until there was a split of eastern and western Christians. All baptized Christians (some in an imperfect manor) are part of this one universal church, founded by Christ, made holy through Him as its head and built on the witness and testimony of His apostles. The prevailing thought of the Jewish people, at the time of Christ, was that the messiah would establish an earthly kingdom of Jews, for Jews, and by Jews, but Jesus told his disciples that He came for the whole world (John 3:16). The Jewish people were the vehicle that brought the messiah into the world but the call to salvation isn’t limited to just them. Jesus makes this clear to the woman at the well in John 4, He tells her that salvation is from the Jews, but a time is coming that men (and women) will worship God, not based on where they live or their ethnicity, but they will worship Him in spirit and in truth. When most people think of the Catholic Church, they think of the Roman Catholic Church, but this is somewhat of a misnomer. The Roman Rite of the Catholic Church is just one of the many rites in the Catholic Church. The majority of the world’s Catholics are members of the Latin church, and the Roman rite in particular, but there are 23 particular churches that are just as Catholic as Latin Catholics. These churches are known as eastern rite churches, not to be confused with Eastern Orthodox. Eastern Catholics are in union with the Pope and obey the magisterium on all matters of faith and morals, they just have different liturgies and customs in their churches. Pope Saint John Paul II, in his encyclical Ut Unum Sint, called the eastern and western churches “the two lungs of the church.” The importance of the eastern Catholic Churches shouldn’t be lost on Roman Catholics; it is the evidence for all to see that this Church, that we rightly call catholic, is truly the universal church that Christ intended it to be. 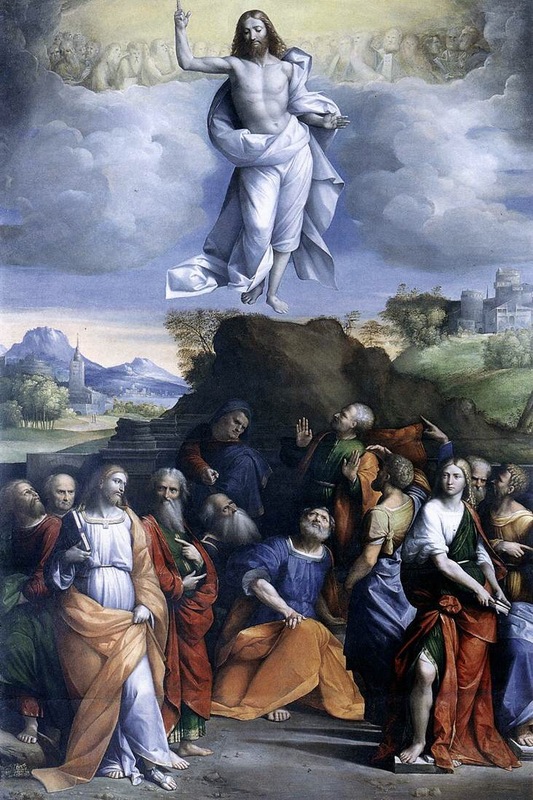 This entry was posted in All Posts/Archive, Bible, Catholic Life, The Creed, Uncategorized. Tagged catholic, Catholicism, christianity, nicenecreed.